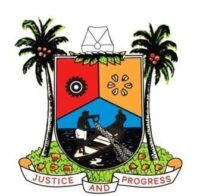 The Chairman of the Nigerian Association of Special Education Teachers (NASET), Mr. Shomide Macaulay, has commended the Lagos State Government for its efforts in the area of special and inclusive education in the country. Macaulay, who gave the commendation during a courtesy visit to the Permanent Secretary, Lagos State Ministry of Education, Mr. Adesina Odeyemi, stated that it is heart warming that Lagos State is the leading State in the country in the area of provision of special education. “Lagos State is the leader among other States in the provision of special and inclusive education service delivery in Nigeria with five special schools and 41 special education inclusive units in primary and secondary schools spread across the State,” he said. The Chairman commended the State Governor, Mr. Akinwunmi Ambode for the care, love and support to meeting the educational, physical and psychological needs of persons with special needs. He, however, urged the state government to establish a special tertiary education facility in the State in order to give individuals with special needs the opportunity to have easy access to higher education without having to seek for same outside the State. While soliciting for admission of children with special needs into Technical Schools, Macaulay decried the shortage of teachers in special schools and inclusive units and urged the government to consider employing teachers for the special schools in the next recruitment exercise and ensure regular capacity building for them. Responding, Odeyemi assured the association of the resolve of the present administration to meet the needs of special students and their teachers as part of efforts to improve the education sector. The Permanent Secretary opined that the presence of the State’s Deputy Governor, Dr. Idiat Oluranti Adebule at the last World Disabilities Day ceremony for the students with special needs was a testimony to the love and affection that the government has for them and the importance it attached to their well-being.